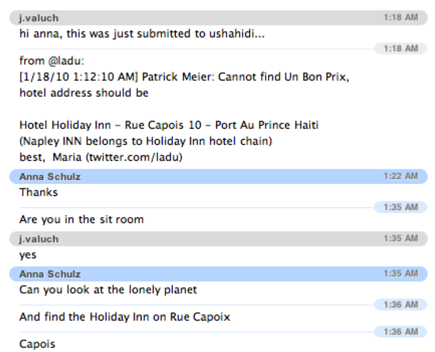 It’s been two weeks since I called David Kobia to launch Ushahidi’s crisis mapping platform in Haiti. I could probably write 100 blog posts on the high’s and low’s of the past 14 days. Perhaps there will more time be next month to recount the first two weeks of the disaster response. For now, I wanted to share an astounding example of crowdsourcing that took place 10 days ago. 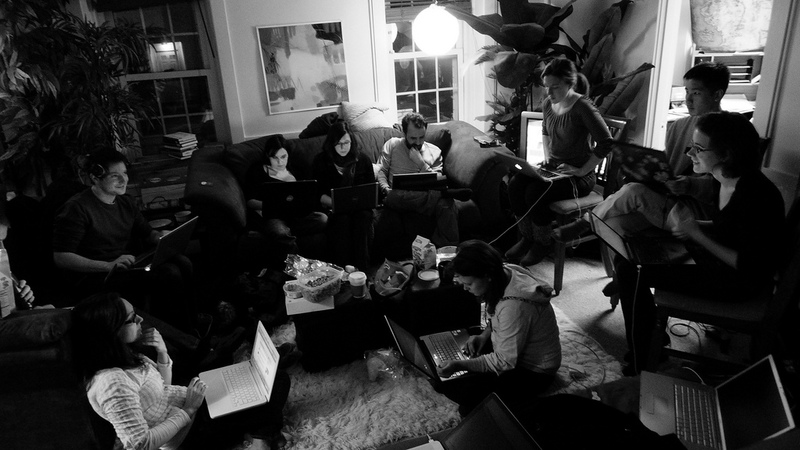 Picture a snowy Boston evening and the following “Situation Room” a.k.a. my living room at Blakeley Hall, part of The Fletcher School. 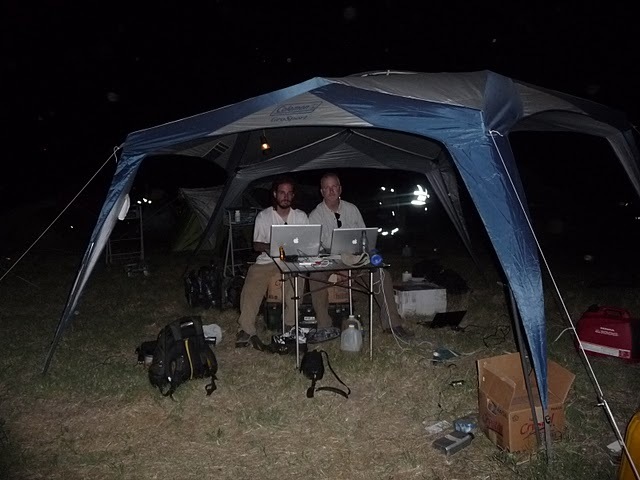 My fellow PhD colleague Anna Schulz, who has rapidly become an expert in satellite imagery analysis and geolocation, receives an urgent request via Skype from InSTEDD‘s Eric Rasmussen pictured below with Nico di Tada. That tent is pitched right next to the runway of Port-au-Prince’s international airport, some 1,600 miles south of Boston. The urgent request? 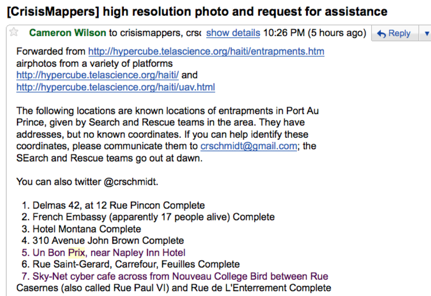 GPS coordinates for 7 key locations across Port-au-Prince where many Haitians were known to be trapped under rubble. They needed to communicate this information to the Search and Rescue (SAR) teams before 0600. Anna immediately got to work. 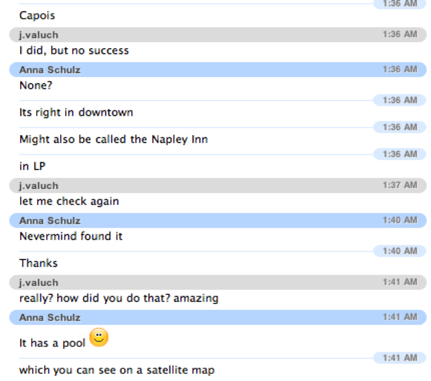 An hour later, Anna had found the GPS coordinates for all but one of the locations for the rescue operations. 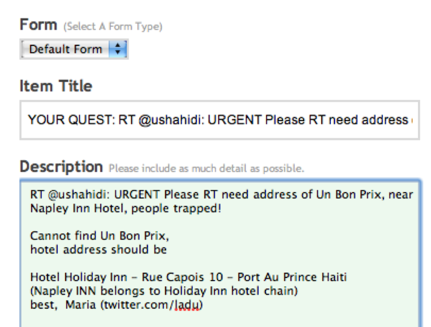 At Anna’s request, I send out the following Tweet on Ushahidi. My colleague Jaroslav and I decide to try the number. Low and behold, we get Marc on the phone after just one ring. With a mixture of English and French, we find out that he was indeed a former employee of Au Bon Prix which happens to be a book store just off “Au Champs de Mars” near the Palace. We immediately Skype this information back to Eric and Nico at Port-au-Prince airport. It’s still snowing in Boston. Time to get a few hours of sleep. We hand over operations to the Ushahidi Team in Africa. This entry was posted in Crisis Mapping, Crowdsourcing, Humanitarian Technologies, Social Media and tagged Haiti. Bookmark the permalink. Keep working on that. Congrats. that’s incredible! thanks for sharing your documentation and demonstrating the power of technology and social media! Well done. There will be some great lessons to debrief with FEMA, Red Cross etc. when things settle. Hope you’ll have the opportunity! 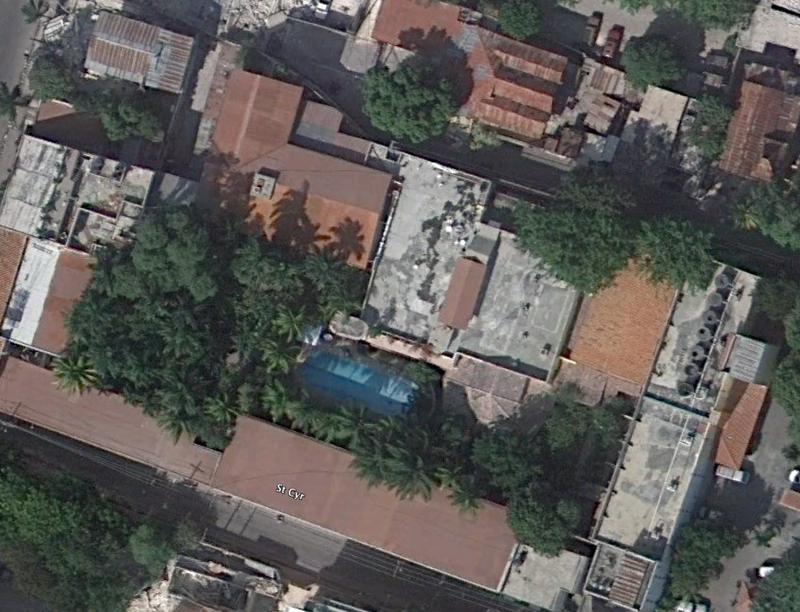 I thought they were trying to find the Napoli Inn Hotel on Rue Centre, next door to Un Bon Prix, a grocery store. Someone was pulled alive out of there on 1/25/10 and he said 5 more were alive in there. In the New York Times slide show, a pic of the Napoli Inn Hotel sign was shown sitting unscathed in the rubble on a block that looked like it had been bombed. How many are still alive in those buildings waiting to be found? Very Impressive. Hats off to you all. Thank you for the info. and many thanks to all involved, your actions all of them allow us all to hope.